At Meatpacking District Plumbing and Heating, we understand that we've been invited into your home to perform a much needed service and, as your guests; our plumbers will conduct themselves in a highly professional manner and maintain a neat and clean work area. We'll also provide a written estimate before we begin the job, so you'll know how long we anticipate the job taking and how much the final bill will be, including parts and labor. 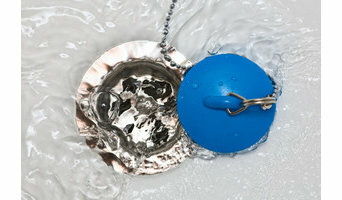 The last thing you want in a plumbing emergency is another surprise. We have established a reputation for quality work and dependability. We understand that minutes count when you're experiencing a plumbing emergency, so we guarantee prompt, courteous service. When you call Meatpacking District Plumbing and Heating, we'll dispatch our plumbers as soon as possible and our clean, well maintained fleet of service vehicles are stocked with a wide variety of high quality plumbing parts to ensure our plumbers will have the parts they need to get the job done right. Whether your drain is stopped up, your faucet leaking or your hot water heater is just not getting the water hot enough anymore, you can call Meatpacking District Plumbing and Heating for prompt and reliable service. Meatpacking District Plumbing and Heating’s service plumbers specialize in quick diagnosis of the problem and reliable repair. They are on the move throughout the day and into the evening when necessary. Meatpacking District Plumbing and Heating’s plumbers are certified by the State of New York. They have decades of experience between them. Water Works is a licensed Bergen County plumber dedicated to providing professional, customer-focused plumbing, drain cleaning, and water filtration services. Founded in 1976, we pride ourselves on quality plumbing, drain cleaning and water filtration maintenance, and service and replacement. 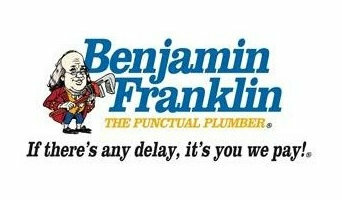 Our Bergen County Plumber services offer professionally licensed and reputable 24 Hour Emergency Plumbing Repairs, Plumbing Repair & Maintenance, Plumbing Installation, Sewer & Drain Services, Water Filtration Systems, Water Heaters, Faucets | Toilets | Sinks, Clogged Drains, Garbage Disposals, Gas Piping & Connections, and Appliances. Stafford Plumbing & Heating has been providing Kenilworth NJ homeowners with quality plumbing and heating services since founded. Regardless of whether we’re installing, repairing or simply maintaining your systems, we take that responsibility very seriously. We undergo extensive training throughout the year, and are screened to be the most helpful and expert technicians we can find. Call us today! 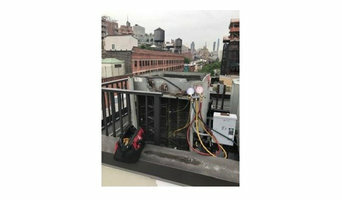 NY HVAC Services Inc. are New Yorkers' go to plumbing, heating and air conditioning contractors serving the Brooklyn area. We offer performance and satisfaction guarantees and pride ourselves on technical excellence, advice and our dedication to service and our clients. Give us a call now to schedule your next appointment! We are a leading manufacturer of boiler feed pumps, water boosting pumps, and condensate systems since its establishment in 1973. We are also a distributor of Tsurumi Pump, Berkeley Pump and Sta-Rite Pumps products. At Air Flow Pump Corp., we have a dedicated team of product representatives that have the expertise and experience to help you choose the ideal system for your needs. 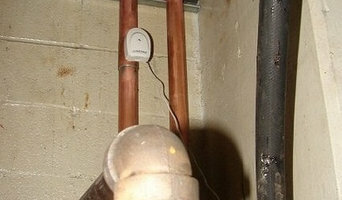 We specialize in heating diagnostic, heating repair/installation along with plumbing repair/installation. We service a variety of heaters and boilers including tankless and combination units. Our business is our livelihood but it is also so much more. DNA Plumbing Contractors Inc was started to fill in a void in the current market and to make a business that the people of The Bronx and surrounding areas can place their trust in. Over the years we have never lost our commitment to our clients and that is what has allowed us to succeed in a very competitive industry. We stand committed to our purpose as we stand committed to the people of The Bronx and surrounding areas. At A Sewer Genie Sewer & Drain Heating & Air Conditioning, our goal is to help you keep your New Jersey home as comfortable as possible at all times, and we achieve that by providing high quality plumbing drain repairs as well as heating and conditioning services. These parts of your home are extremely important to the comfort that you rely on on a daily basis, and we'll always do whatever it takes to make sure that they're in the best condition possible. Our experienced experts will provide you with high quality workmanship and professional customer service at every job that we perform. Locally owned and operated, Old World Plumbing & Restoration takes great pride in helping communities throughout New Jersey with any plumbing issue. We have 15 years or remodeling experience specializing Morristown kitchen and bathroom remodeling. When an emergency happens, you need experienced professionals that are focused on getting to the root of your problems not just temporary fixes. Our trained plumbers and technicians have years of industry experience and use only state-of-the-art equipment to make sure each detail is handled with extreme accuracy. DMC Plumbing and Heating offers a full range of services such as Plumbing, heating, air conditioning and many commercial services. 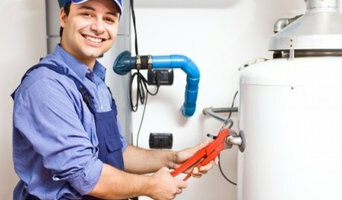 Our Bayonee plumbers are committed to offer excellent service and guaranteed satisfaction to our customers.